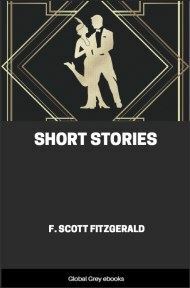 A collection of 8 short stories; the first such collection written by F. Scott Fitzgerald. Stories include; The Offshore Pirate; The Ice Palace; Head And Shoulders; The Cut-Glass Bowl; Bernice Bobs Her Hair; Benediction; Dalyrimple Goes Wrong; and, The Four Fists. 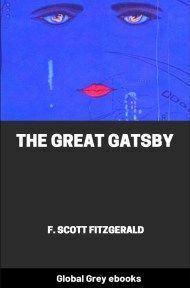 This unlikely story begins on a sea that was a blue dream, as colorful as blue-silk stockings, and beneath a sky as blue as the irises of children's eyes. 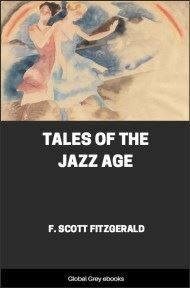 From the western half of the sky the sun was shying little golden disks at the sea—if you gazed intently enough you could see them skip from wave tip to wave tip until they joined a broad collar of golden coin that was collecting half a mile out and would eventually be a dazzling sunset. About half-way between the Florida shore and the golden collar a white steam-yacht, very young and graceful, was riding at anchor and under a blue-and-white awning aft a yellow-haired girl reclined in a wicker settee reading The Revolt of the Angels, by Anatole France. 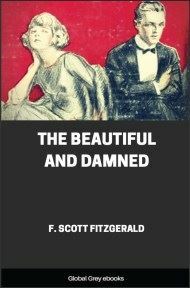 She was about nineteen, slender and supple, with a spoiled alluring mouth and quick gray eyes full of a radiant curiosity. 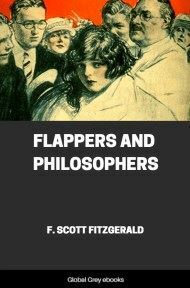 Her feet, stockingless, and adorned rather than clad in blue-satin slippers which swung nonchalantly from her toes, were perched on the arm of a settee adjoining the one she occupied. And as she read she intermittently regaled herself by a faint application to her tongue of a half-lemon that she held in her hand. The other half, sucked dry, lay on the deck at her feet and rocked very gently to and fro at the almost imperceptible motion of the tide. The lemon descended very slowly and scornfully. "Well it seems—well, I am up here—" He paused and swallowed several times distractedly. "Oh, yes. Young woman, Colonel Moreland has called up again to ask me to be sure to bring you in to dinner. His son Toby has come all the way from New York to meet you and he's invited several other young people. For the last time, will you——"